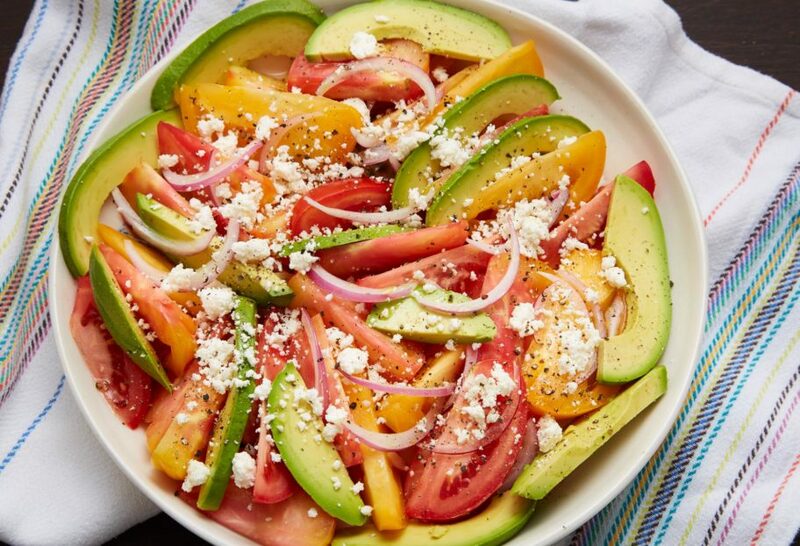 Arrange the tomatoes, onion and avocado on a platter. Season with 1/2 teaspoon salt and a few cracks of pepper. In a large bowl, whisk together the vinegar, lime juice, sugar and oil. Season with salt and pepper to taste. Set aside. Drizzle the dressing over the platter and sprinkle the queso fresco evenly over the top. Finish with a little more salt and pepper. Serve at room temperature.